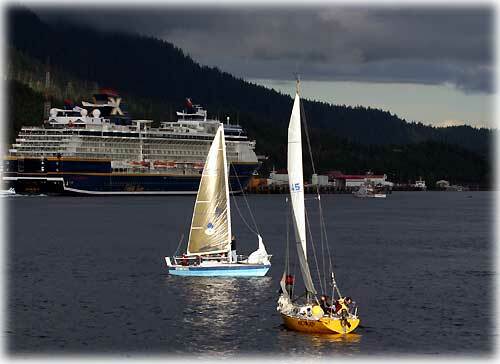 Ketchikan & Statewide: Operation CARE In Effect Over Holiday Weekend - Traditionally, the Fourth of July holiday is one of the most active weekends of the year, and one of the holidays during which Alaskans head for the roads and waterways. Last year, statewide there were 23 motor vehicle collisions. Around the state from Fairbanks to Ketchikan, Troopers made 22 DUI arrests, issued 319 citations for speeding, and 8 safety belt and child restraint citations and warnings over the holiday enforcement period. 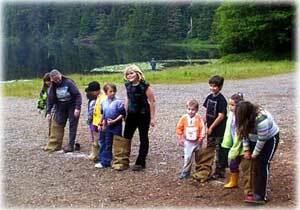 Ketchikan: 4th Annual Family Day Celebration; Kids learn celebrations can be alcohol and drug free - The Fourth Annual Family Day Celebration held Saturday at Ward Lake was attended by more than 70 adults and children. According to one of the organizers Patti Fay Hickox, the event was started originally by Women In Safe Homes in an effort to show kids that celebrations with adults can be alcohol and drug free.